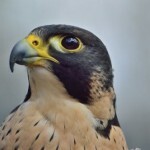 REEL ROCK 11 Film Tour & Filmmaker Brett Lowell in Poughkeepsie Dec 3rd! 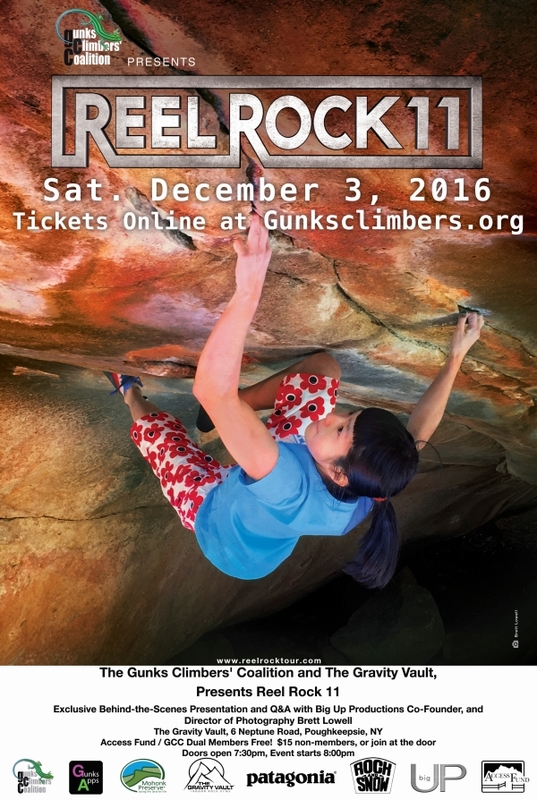 December 3, 2016 – REEL ROCK 11 Tour with Brett Lowell Comes to Poughkeepsie! 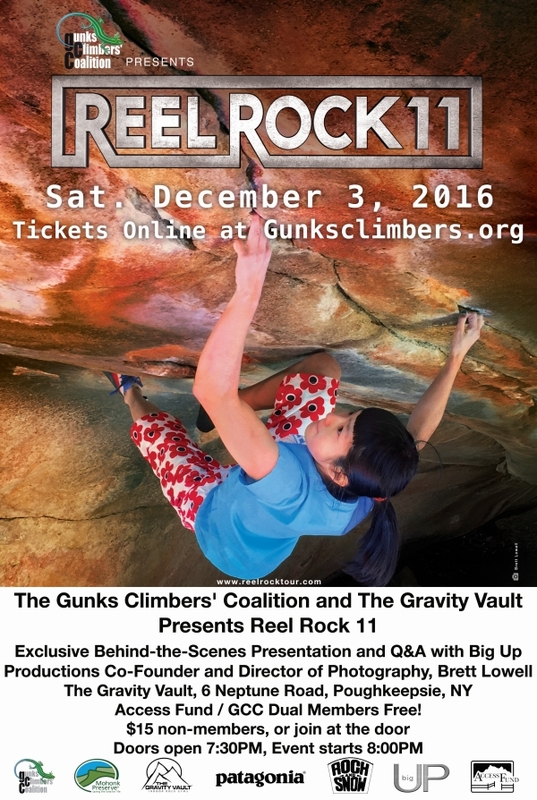 The REEL ROCK 11 tour is coming to us on Saturday, December 3rd with an exclusive appearance from filmmaker Brett Lowell! Courtesy of a special arrangement with local Gunks friends and producers Big Up Productions and Boulder-based Sender Films, the Gunks Climbers Coalition is psyched to partner with our neighborhood Gravity Vault in Poughkeepsie in presenting the latest installment of the premier and cutting edge REEL ROCK series. 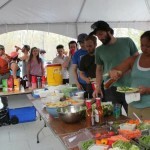 This is the only screening in the Mid-Hudson Valley, so don’t miss this opportunity to see it projected in a fun setting among the Gunks climbing community! The evening will kick off with very special guest filmmaker Brett Lowell, co-founder of Big Up Productions, discussing what went into making this latest film, along with behind the scenes stories. After the screening, Brett will answer questions from the audience—an exciting opportunity! Check out the trailer below and you’ll know you can’t miss this! Due to the size of the venue, tickets to the event are limited. Don’t get shut out if we sell out! 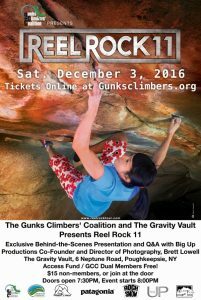 Tickets can be reserved and/or purchased online at gunksclimbers.com before the event. If you’re a member of the GCC, we’re making this sick event free to you! If you aren’t a member you can buy tickets for only $15. you can join the Access Fund and GCC at the door for the special event rate of $35 for a dual membership and come on in for no further charge. Doors to the event will open at the Poughkeepsie Gravity Vault at 7:30pm for the 8:00pm show. Light crunchy snacks will be provided and feel free to bring your own non-alcoholic beverages! Most of the seating will be on the climbing gym floor so bring your own extra back cushion or whatever you need to enjoy the evening at your chosen level of comfort! BTW, no food or drinks will be allowed onto the padded floor itself but will be allowed on the carpeted lounge area along the whole front of the gym — you might even score a seat on a comfy couch in this area but plan accordingly. 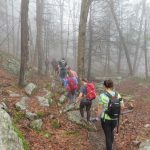 Don’t miss this amazing climbing community event!